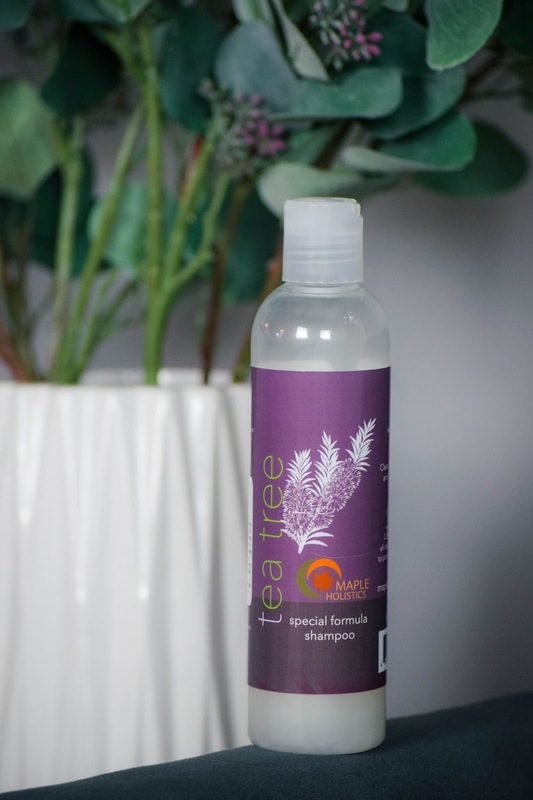 With my long locks, shiny and healthy hair is something I've always wanted to achieve but never could, and when I tried Maple Holistics' Tea Tree Oil shampoo I was shocked because I am by no means easy to please when it comes to hair products. Over the past four years I've only found one shampoo that works with my build-up prone scalp, and I've stuck by it loyally ever since. That is until Maple Holistics sent me their Tea Tree Oil shampoo, and it not only made my hair 10x shinier but also kept my hair clean and build-up free! 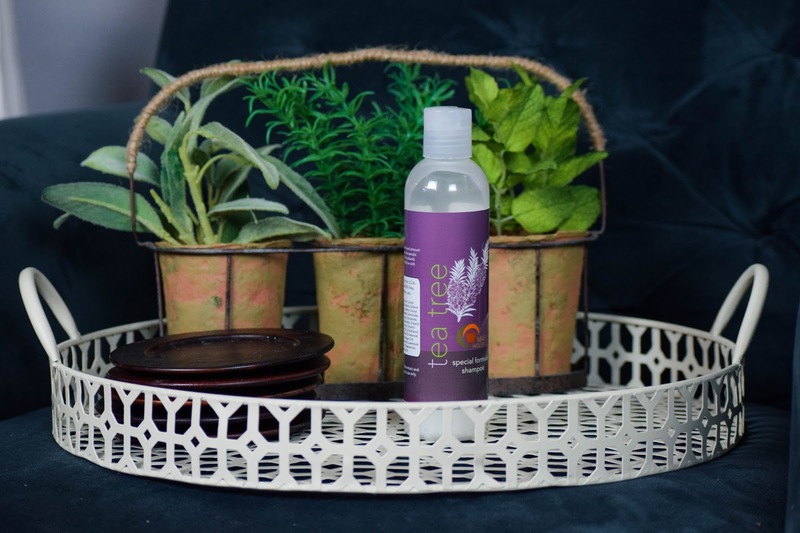 All-natural and cruelty-free are two phrases that we all love to hear regarding our personal care products, and that's exactly what Maple Holistics specializes in. 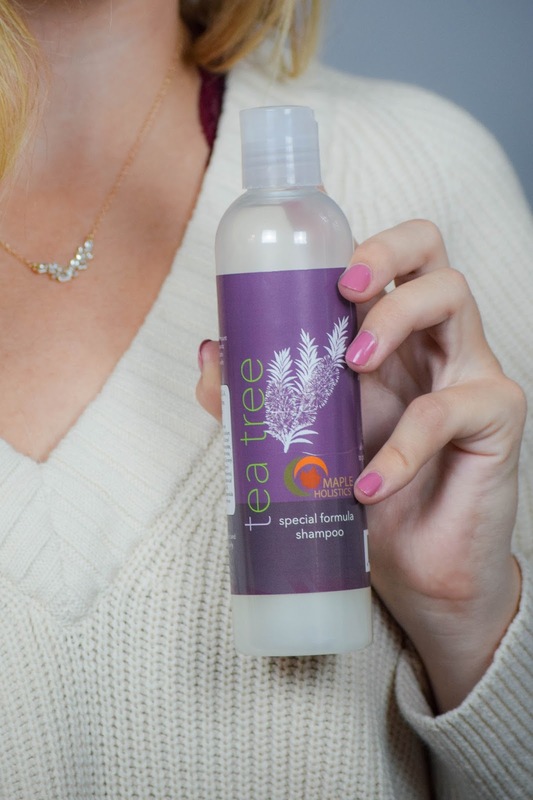 Besides the therapeutic tea tree oil, the shampoo I used also contained other amazing natural ingredients like argan, lavender, rosemary and jojoba oil, all of which naturally promote healthy hair growth! 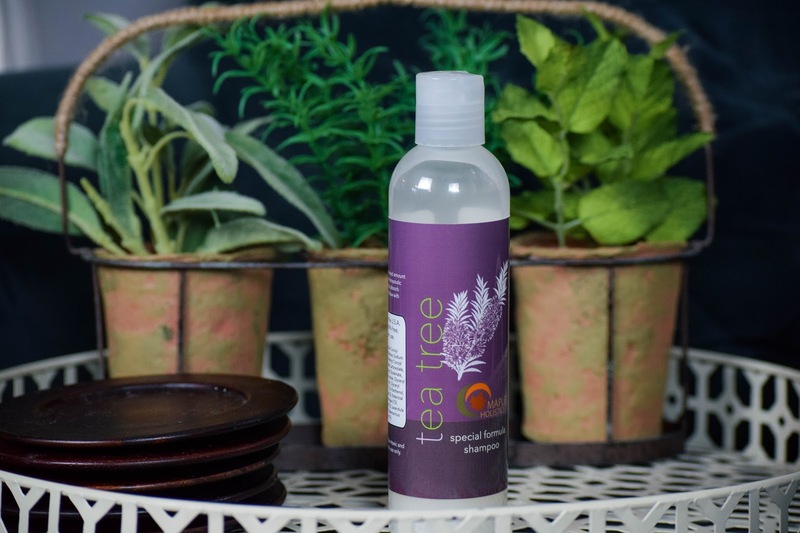 The Tea Tree Oil shampoo is also sulfate free, which is a huge plus to me! 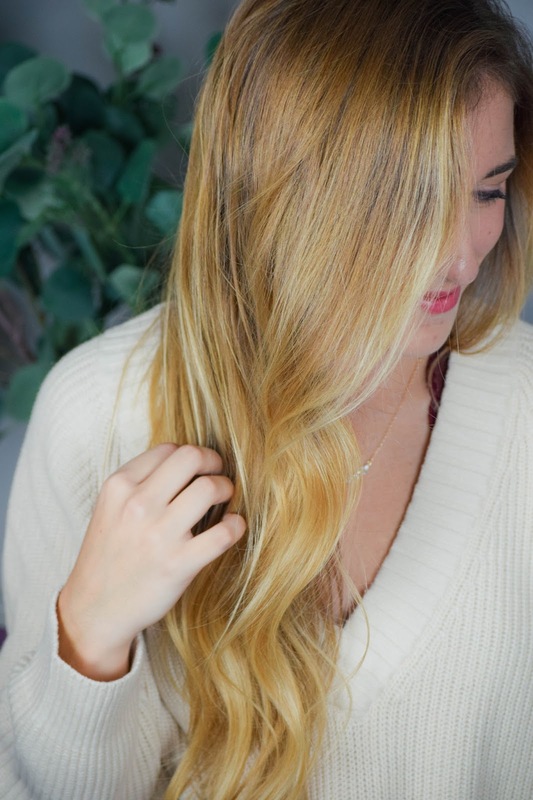 Sulfates can strip natural oils from your scalp, ultimately leaving it dry and frizzy, and sulfate free shampoo is also significantly better for color-treated hair! Unlike other shampoos, after massaging this one into my scalp in the shower I allow it to sit in my hair for 2-3 minutes before rinsing it out. I then use my usual conditioner on the lower half of my hair. 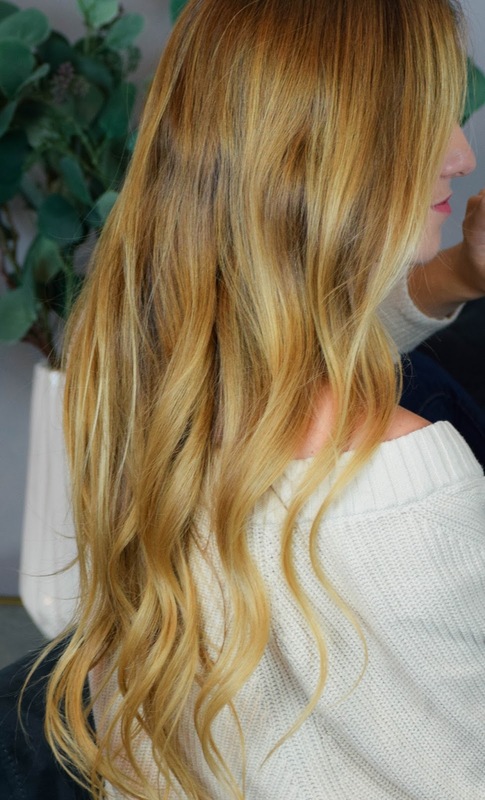 I've been doing this for the past two weeks, and the results I've seen in the shininess of my hair are unreal! I'm seriously the pickiest person when it comes to shampoo, so don't take it lightly when I say this stuff is the bee's knees! Like I said, I've been using my normal conditioner with this shampoo, but I've read amazing reviews about Maple Holistics' conditioner and really want to try it out as well. If it's as good as their shampoo then I may be changing my hair care routine altogether! Finally, I wanted to let y'all know that the Tea Tree Oil shampoo is currently on sale for less than $10; that's over half off! Maple Holistics also has a free sample program where you can fill out this form and select one of their products, and then they'll send you a sample for FREE! Maple Holistics' Tea Tree Oil shampoo has by far had the most noticeable effect on my hair out of any shampoo I've ever tried, leaving it significantly shinier and cleaner. It was the first all-natural product I've ever used on my hair, and I'll keep y'all updated if anything changes as I continue to use it! 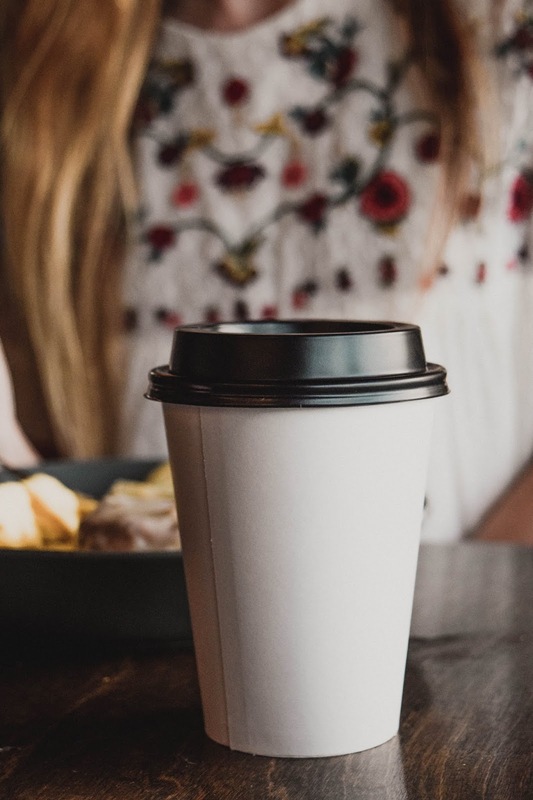 Thank you Maple Holistics for sponsoring this post! Despite product compensation, all opinions are my own.